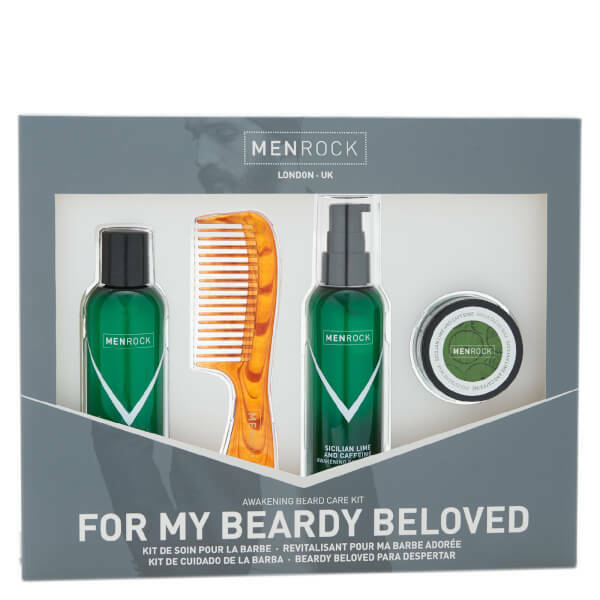 The Awakening Beard Care Kit from Men Rock is a four-piece collection that promises to cleanse, condition, style and tame your facial fuzz. 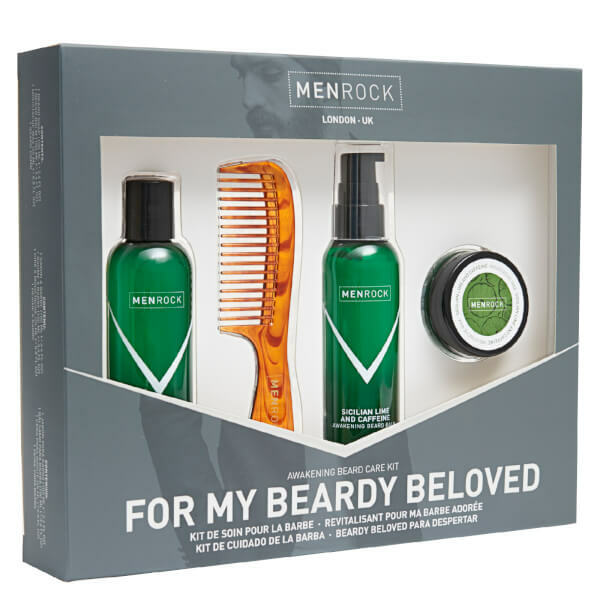 Housed in a gift box, the grooming essentials allow you to achieve a perfectly styled beard and moustache with ease. E.N. Gently cleanses skin to remove grease and wash away dirt, leaving your beard refreshed and fragranced with the brand's Sicilian lime scent. Formulated with active ingredient, caffeine to instantly energise your beard, giving it an extra kick. 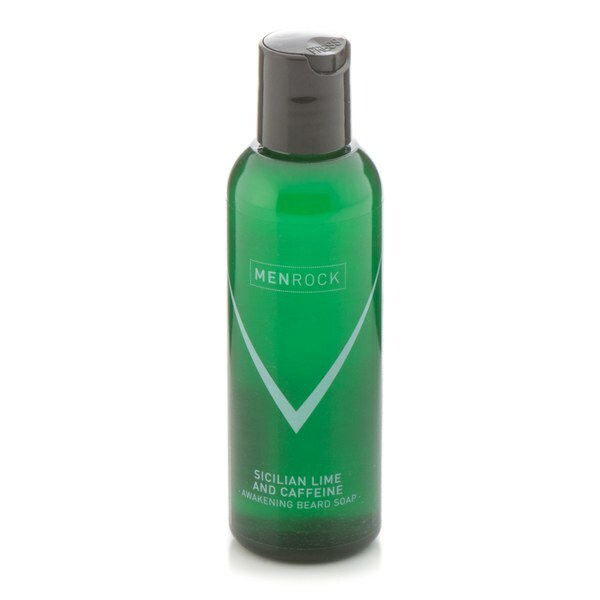 A leave in conditioning balm with Men Rock's refreshing Sicilian lime scent. 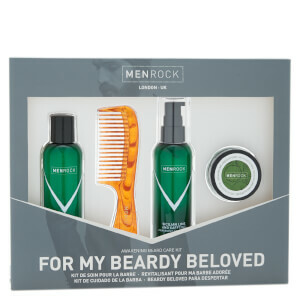 Softens and moisturises your beard to leave you feeling like a new man. Specially formulated for facial hair and skin, this creamy balm contains caffeine to delightfully awaken your beard and reduce irritation. Achieve facial fuzz that looks in tiptop condition. 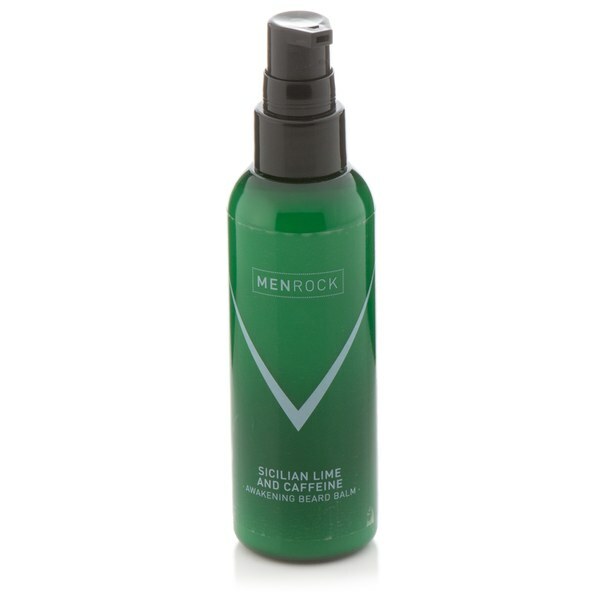 Its weightless formula is infused with the brand's Sicilian lime and caffeine scent, whilst providing medium-firm hold to give you complete control. Allows for easy styling, shaping and taming of facial hair to ensure your handlebar, pencil ‘tache or desired look never takes over your top lip. Can also be used on your beard.